I can't keep my hand out of the cookie jar! As I mentioned last week, we welcomed our beautiful baby girl into this world. We are still getting used to being a family of four, but her big brother seems truly smitten with her. He is constantly checking on her and demands to hold her and lay with her. It is the cutest thing. I am nursing her and we have no issues so far. I am one of the lucky women who have babies that latch well and eat often without any issues. I know breastfeeding can be a struggle for many women and my heart goes out to you. One thing that i never tried with my son was making lactation cookies. The ingredients in the cookies are supposed to increase your milk supply. I have never had a supply issue before, but figured it would not hurt to give these a try. 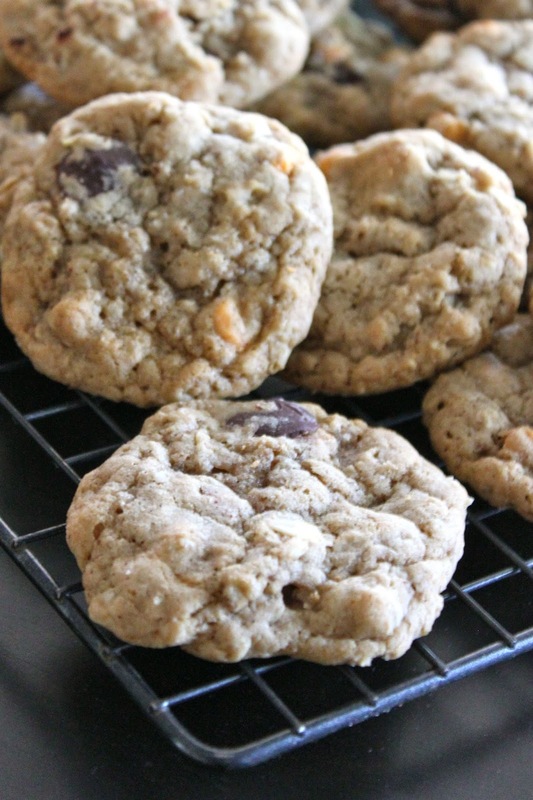 I modified the recipe slightly and let me tell you....they are delicious! My entire family keeps eating them. We are almost out of the first batch which made 4 dozen. I plan to mix up another batch this weekend. In a medium bowl, mix together the flour, baking powder, baking soda, salt, cinnamon, and cocoa powder. In a separate bowl beat together the butter, sugar, and vanilla. Add in eggs one at a time until fully combined. Slowly add in flour mixture. Mix until combined. 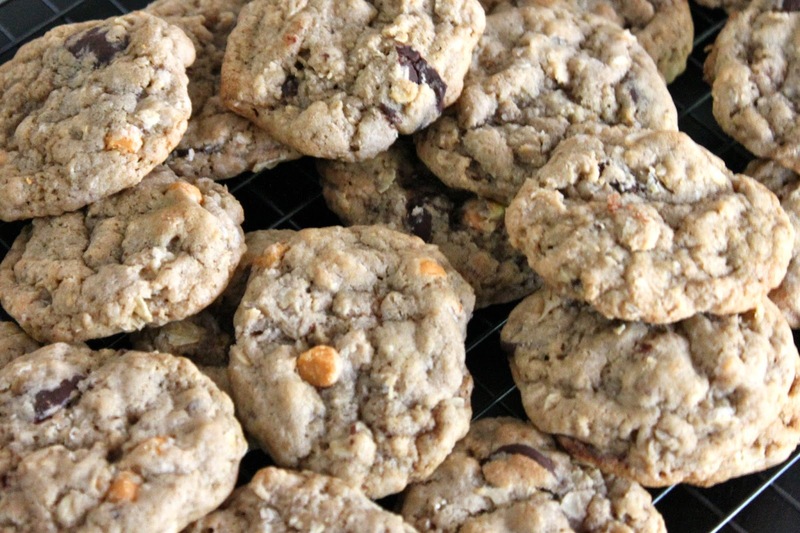 By hand, mix in the yeast, flaxseed, oats, chocolate chips, and butterscotch chips. Drop rounded spoonfuls about two inches apart on an ungreased cookie sheet. Bake for 10-12 minutes until lightly golden.